The ‘Island of the Gods’ is a heavenly attraction, but more exciting destinations in Indonesia lie ahead. Indonesia’s third largest city is set amid volcanic mountains, tea plantations, and a strawberry field. The cool weather adds to a different ambience altogether, especially for a tropical country. Bandung has other interesting attractions such as the Trans Studio Bandung, a theme park in a mall and Paris Van Java, a shopping spot with various restaurants. Nature’s beauty: Bandung is known for its volcanoes. Visitors may travel about 30 km from the city to “Tengkuban Perahu,” a popular volcanic mountain. Here, tourists can purchase eggs cooked on the hot volcanic surface. Hot water springs and boiling mud makes for a more thrilling adventure. Lombok takes tourists into the serenity of white sandy beaches. A well-preserved island far from the city’s hustle-and-bustle, Lombok is the escape for those seeking a quiet respite. 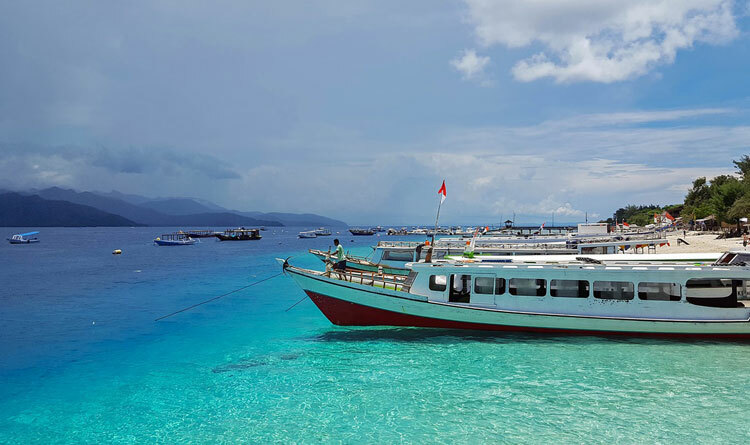 One of the interesting places to visit is Gili Islands. Here, you may choose to climb Mount Rinjani and enhance your experience in appreciating nature’s beauty. Marine life surprise: Turtle Hatchery in Lombok gives tourists a unique experience. Observe hundreds of green and hawksbill turtle hatchlings, as they break free into the local waters. Jakarta, the capital of Indonesia, has diverse cultural influences. Its indigenous ethnicities have blended with Arabic, Chinese and Western traditions. At the National Museum, tourists can learn more about the richness of it all. Moreover, the National Monument, the country’s historic symbol of their fight for independence, is another historic place worth a visit. Thrill for the family: After immersing in Indonesia’s heritage, enjoy the rest of the day at Dunia Fantasi, an internationally themed amusement park. The ‘Ice Age Arctic Adventure’ takes visitors on a 20-seater boat and puts them through a 9-meter splash of icy cool water. Other attractions include a roller coaster, Ferris wheel, and a magic show. Yogyakarta or ‘Jogja,’ is a city known for the booming arts and culture scene. This is the destination for traditional and gamelan performances. Different modes of transportation are available for tourists such as buses, motorbikes, and trishaws; but if you’re adventurous enough, you may walk around the city and get closer to local life. For a romantic ride around the city, hop on horse-drawn carts located near tourist hotspots. Feel the culture: Prambanan in Jogja, the largest Hindu temple in Southeast Asia, is a must visit. At first glance, you’ll be blown away by the temple’s intricacies. Due to its architectural uniqueness, the Prambanan was declared a UNESCO World Heritage Site in 1991.